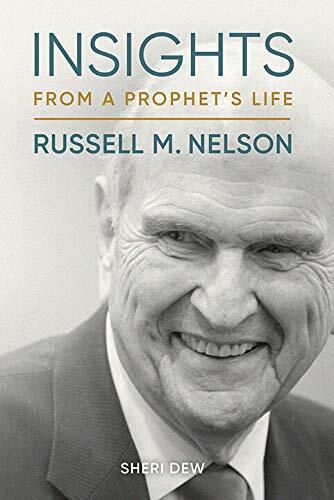 Last week the Truth & Transparency Foundation posted an article titled, “False Story Removed From Newest Book on the Life of Mormon President Russell M. Nelson.” The Foundation revealed that Insights from a Prophet’s Life: President Russell M. Nelson by Sheri Dew went to press while including “a faith promoting story with material inaccuracies.” Once made aware of the problems with the story, publisher Deseret Book halted the printing, removed the anecdote, and released the book without it. Unfortunately, the false story had already been printed and distributed in the March/April edition of LDS Living Magazine, potentially misleading more than 600,000 readers. Russell Nelson’s story, as it originally appeared in the magazine and pre-released book, was not entirely false. It was a story President Nelson shared upon occasion “as a faith promoting example of [LDS] missionary work.” The core of the story was true: many decades ago Beverley and Derwin Ashcraft were introduced to The Church of Jesus Christ of Latter-day Saints and then baptized by Russell Nelson. But beyond that, most of the details that embellished the story were inaccurate. These included: The place and circumstances under which the Ashcrafts met and first interacted with President Nelson; the vocations of the Ashcrafts; the order in which Beverley and Derwin made the acquaintance of President Nelson; Derwin Ashcraft’s initial attitude toward the Book of Mormon; and, perhaps most significantly, the entire tale of a premonitory/prophetic dream that Beverley (never) had 30 years later immediately preceding an encounter she had with Russell Nelson in the 1980s — an encounter which itself was highly embellished in the published story. Some readers might question whether the inaccuracy of these small details even matter; since the Ashcrafts were actually befriended, converted, and baptized by Dr. Nelson, the story really is true (or true enough). Yet if these details didn’t matter, why were they inserted into the story in the first place? Why was it found beneficial to add fictional details and report them as true? If these details don’t matter to some folks, they most definitely matter to the Ashcraft family. When Katie McKenzie, granddaughter of Derwin and Beverley, learned about the soon-to-be-published book containing the inaccurate story of her grandparents’ conversion, she believed something needed to be done. Katie contacted Deseret Book with corrections and, to their credit, the publisher stopped production and mitigated the problem. When the Truth & Transparency Foundation asked Katie why she felt the need to correct the inaccurate story, she explained that she had three specific concerns. The main one was “the fact that people were reading this account and believing it to be accurate when it isn’t.” Truth matters. Another concern was over the way the story unfairly portrayed Katie’s grandfather in a bad light. Because Derwin is no longer living, “Katie felt it her duty to defend her grandfather from a false narrative.” Truth matters. For a Latter-day Saint to whom truth matters, this would indeed be a difficult choice to make. It was good for Katie and her family to fact-check the Mormon prophet’s faith-promoting story and set the record straight. Let faith be built on truth, not on a more-enticing fiction. This episode from President Nelson’s life — jazzing up an anecdote to make it more compelling than it actually was — does not incriminate him as a false prophet. Yet it serves as an interesting illustration of the importance of fact-checking — even fact-checking one believed to be a prophet. Biblically speaking, followers of Christ are instructed to always fact-check Mormon prophets. Indeed, anyone who claims to be speaking for God must be tested to determine whether he or she is who he/she claims to be. Both the Old and New Testaments repeatedly warn of false prophets and call God’s people to beware, to fact-check what prophets say and do in order to avoid being deceived. Being deceived about relatively inconsequential details in a faith-promoting story is unfortunate, yet it does not usually have eternal consequences. But what if the deception is about who God is? Or what He has said? Beginning with Joseph Smith, and continually proclaimed by LDS leaders to the present day, Mormon prophets preach a deceptive message about God. They say he was once a man. They say he became a god by following the covenant path. They say he is just one of many true gods. They say he requires humans to receive ordinances, and make and keep covenants (i.e., follow the covenant path just like he did), to be allowed to spend eternity with him. One Mormon prophet even said god was the man Adam in the Garden of Eden. They say these unbiblical things and people are deceived into following a different god, a counterfeit god, a god who cannot forgive or save. According to God’s prophet-test found in Deuteronomy 13, this reveals Mormon prophets to be false prophets. That’s bad news for them, because God promises harsh judgment against those who pretend to speak for Him. It is also bad news for those who have failed to fact-check these Mormon prophets. God shows us the consequences of following false prophets in Jeremiah 14. The people who failed to fact-check the prophets, who preferred and chose the false, feel-good prophecies over God’s truth spoken by Jeremiah, reaped terrible consequences. God’s judgment fell on both the deceivers and those who listened to them. Thankfully, for those who have been deceived by false prophets, it doesn’t have to end like that. So fact-check those prophets. If this reveals them as false prophets, “Thus says the Lord God: Repent and turn away from your idols” (Ezekiel 14:6). Because “If we confess our sins, he is faithful and just to forgive us our sins and to cleanse us from all unrighteousness… we have an advocate with the Father, Jesus Christ the righteous” (1 John 1:9, 2:1). Truly, God is merciful and willing to forgive. If you turn to Him, He will not turn you away.